M51 Wirlpool Galaxy In the constellation Canes Venatici is approximately 25 million light years. 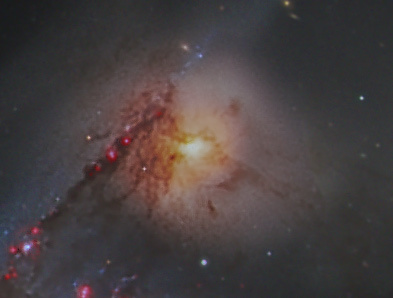 Another interacting galaxy in the image is NGC5195. 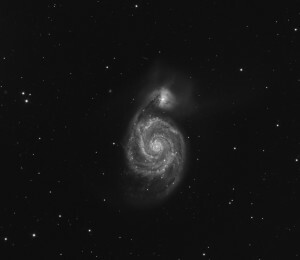 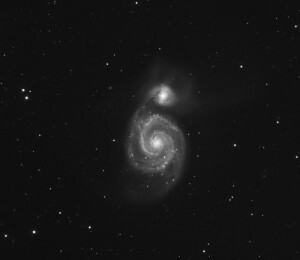 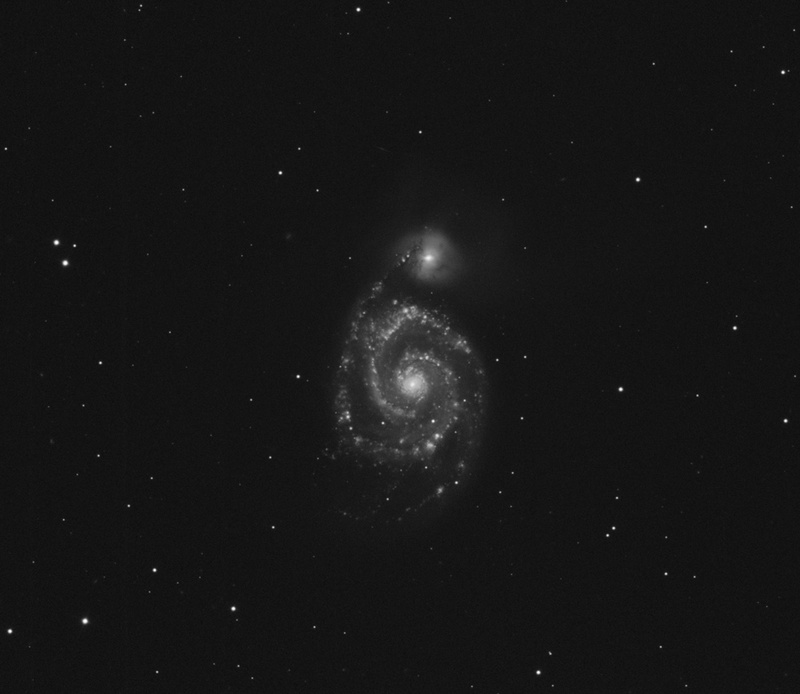 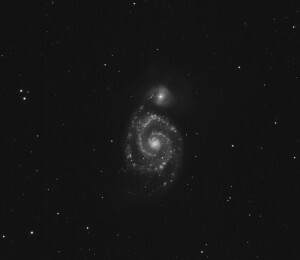 M51’s spiral structure was caused by NGC 5195 passing through the main disk of M51 about 500 to 600 million years ago. The galaxy and NGC5195 its companion galaxy are easily observed by amateur astronomers.The two galaxies may even be seen with binoculars. 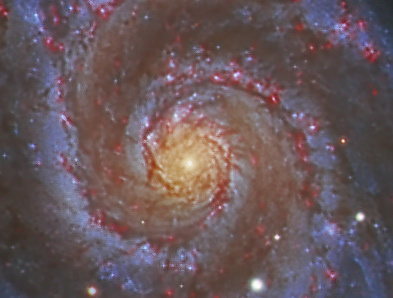 Supernova Sn2011dh was recently discovered visually by Tom Reiland of Glenshaw Pa. Sn2011dh 2 other supernovas were also discovered in this galaxy, one in 2005 and another in 1994.